If you need a SharePoint and Office 365 developer, then you’ve come to the right place. App Maisters has expertise in SharePoint as well as integrating business applications with Office 365. To be a successful company today, your employees need ways to connect with one another, share information, store documents, and keep track of work. SharePoint is a powerful way to accomplish this. As an expert SharePoint development company, App Maisters can create a custom solution for your business that makes the most out of this robust system. With over 10+ years of experience building custom applications, our team has the expertise to complete your project quickly and effectively. While some people see SharePoint as just another “content management system” (CMS) designed to deliver website content, it’s much more than that. 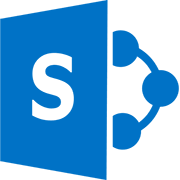 As one of the top SharePoint developers, we understand that SharePoint is a powerful, highly interactive system that can foster collaboration and productivity. Many businesses use SharePoint as comprehensive intranets to organize work, store documents, and support team cooperation. Our SharePoint development approach can fully leverage the latest in cloud technology to create a truly powerful and accessible solution. Is your company getting the full value it can with Office 365? As part of your SharePoint implementation, you can better leverage Office 365 to support document creation, management, and teamwork. 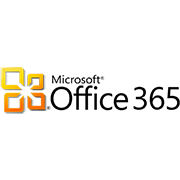 With our expertise, we can help set up systems and processes, so you can get the most of your SharePoint and Office 365 solutions. With our team of expert consultants, you won’t have to deal with multi-vendor inefficiencies. We can do it all. Whether you need data migration, integration of multiple SharePoint instances, or upgrades for your intranet, App Maisters can help. When you need to hire an Office 365 or SharePoint developer, Contact App Maisters . By leveraging our expertise in SharePoint, SharePoint Online, and Office 365, we can provide the best custom solutions for your business.